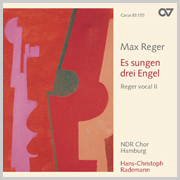 Ever since the NDR Choir came into existence in 1946, it has been committed not only to the classical and romantic repertoire but also to contemporary music, which had been banned for a considerable period prior to the choir’s establishment. 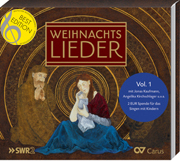 As a result, the preparation and performance of Schönberg’s unfinished opera Moses und Aron was the focus of worldwide attention in the post-war years. 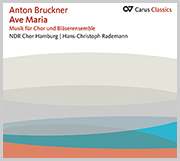 Especially under the direction of Helmut Franz, Max Thurn’s successor, a-cappella literature became a special trade- mark of the choir, a tradition maintained by subsequent conductors such as Roland Bader, Horst Neumann, Robin Gritton and Hans-Christoph Rademann. 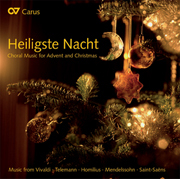 The choir has also enjoyed the stimulus of working with notable guest conductors such as Eric Ericson, Marcus Creed, Michael Gläser and Rupert Huber. 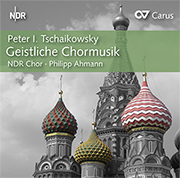 Since the 2008/09 season, Philipp Ahmann has been choral director of the NDR Choir. Among the highpoints of recent years have been performances of Handel’s Israel in Egypt, the Ligeti Requiem and Schönberg’s Gurrelieder. 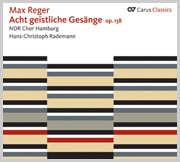 Of the choir’s many CD recordings, the a-cappella works by Max Reger (dir. by H.-Chr. Rademann), which received the 2005 “Prize of the German Record Critics,” deserves special mention. 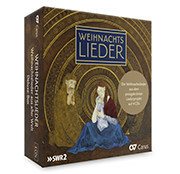 Plans for the 2009/2010 season include Haydn’s The Creation under Martin Haselböck and a concert performance of Bizet’s opera Carmen as well as the choir’s own subscription series under the direction of Philipp Ahmann.